Plus, Eudaly's get-out-the-vote drive was more transparent than another, and a conference will commermorate the death of Ethiopian immigrant Mulugeta Seraw. By the time the final accounting is done, the 2018 Oregon elections will have broken all kinds of records, for better or worse. Although it may be hard to confirm, the election probably also broke the record for the most complaints ever filed against candidate and ballot measure campaigns. They started with individuals and groups filing complaints against those gathering signatures for initiative petitions before they even qualified for the ballot, and continued into the closing week, with complaints about the city-funded get-out-the-vote drive organized by Commissioner Chloe Euday, who wasn't even on the ballot. Commissioner Chloe Eudaly may have been criticized for her city-supported get-out-the-vote drive, but it was more transparent than the canvassing conducted by the coalition supporting Gov. 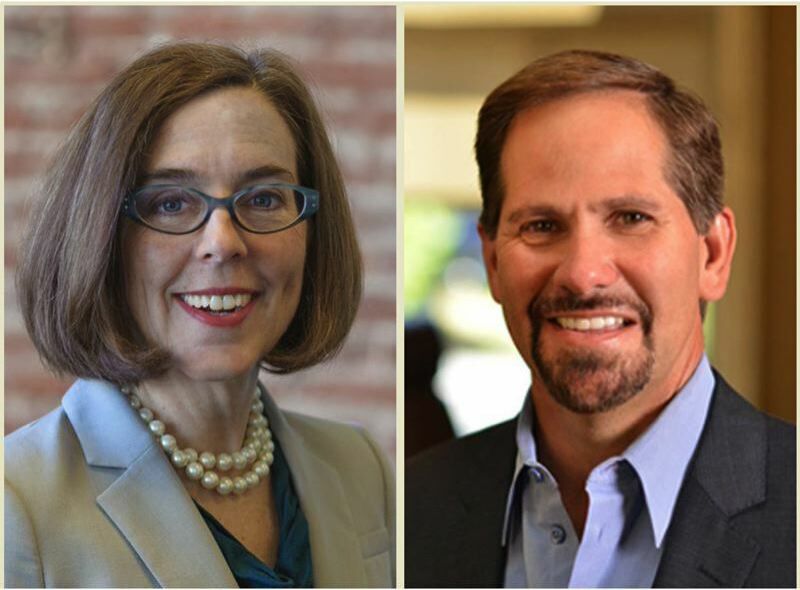 Kate Brown and opposing four conservative Oregon ballot measures. The door hangers left by the coalition looked nonpartisan on the front, with a "Thank you for being a voter" greeting, then listed its endorsements on the back. The sponsor of the coalition's door hanger was identified as The Oregon Voter Guide, which is not a real publication. Or a real organization of any kind. Curious voters had to visit its website to learn the members are public employee unions and left-leaning advocacy organizations, such as the Oregon League of Conservation Voters. One of the most horrific racial incidents in Portland history will be commemorated this coming Tuesday. The Urban League of Portland and Portland State University are hosting a conference on the 30th anniversary of the beating death of Ethiopian immigrant Mulugeta Seraw by racist skinhead Ken Mieske in Southeast Portland on Nov. 13, 1988. Participants are scheduled to include Seraw's uncle and lawyers who brought a successful civil rights lawsuit against California white supremacist Tom Metzger after Mieske and two other members of East Side White Pride pleaded guilty to criminal charges, including murder, for their roles in the incident that shook Portland. The conference will be held at the University Place Conference Center. Scheduled speakers include Seraw's uncle Engedaw Berhanu, and Elden Rosenthal, a Portland attorney who represented the family in the civil suit. You can register at ulpdx.org. There are fees, but scholarships are available.